Welcome to Paul’s Private Dining. Providing a bespoke catering service for your home dinner party and personal cookery tuition. Hello, My name’s Paul Short, a trained chef based in the North East of England, experienced in a range of cuisines and skills. My career in Catering & Hospitality began at the age of 13 as a Pot washer in a small restaurant. It was then that my passion for food was ignited, witnessing fresh local produce from the field and sea being cooked simply and elegantly. Before, during and after qualifying from college I have been able to work under some great Head Chef’s all with a variety of styles and skills. 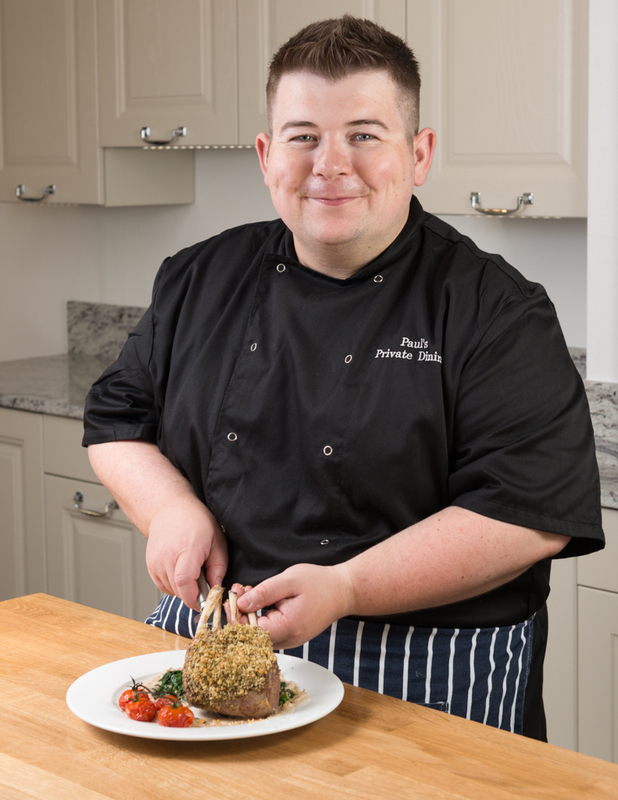 I have set up Paul’s Private Dining to provide an affordable, tailored & personal approach to catering for Private Dinner Parties and Cookery Lessons in the comfort of your home. I have up to date Food Hygiene Certification & insurance for your peace of mind. I am available to hire to cater for your Private Dinner Party, for up to 8 people, in the comfort of your home. Let me take care of the Menu Planning, Cooking and even Dishwashing to give you more time to relax. With Menus starting from £40.00pp for a 3-Course Dinner why not treat that someone special to an intimate dinner or arrange that long overdue catch-up with some old friends. Are you looking to learn some cookery skills? Or maybe you wish to reignite your passion for food? Or do you think that someone you know could do with a bit more guidance in the kitchen? If the answer to any of these questions is Yes, why not contact me for a No Obligation chat to find out more of what I can offer. If you check the Cookery Lessons Page, there are examples of what I can teach you or a friend in the convenience of your or their home. I cover Newcastle Upon Tyne, North Tyneside and Northumberland.